Dr. Mangione’s areas of expertise include diabetes, diabetes prevention, health disparities, aging, public health, health insurance benefit design, and public health policy. 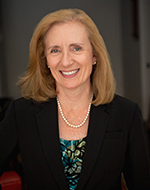 She was also a member of the Board of Governors for the Pardee RAND Graduate School. 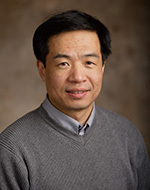 Lizheng Shi, PhD, MsPharm, has trained as a pharmacist (B.S. in pharmacy 1992, M.S. in pharmacy 1994) through Shanghai Medical University and Peking Union Medical College, respectively. He has also trained as an economist (M.A. in economics 1998, PhD in pharmaceutical economics and policy 2001) through the University of Southern California. PaTH began as a partnership of four Mid-Atlantic academic health systems (Penn State Hershey Medical Center, University of Pittsburgh Medical Center, Temple Health System, and Johns Hopkins Health System) that have established governance to operate as an integrated research network. In 2015, the University of Utah and Geisinger Health System also joined PaTH, creating an electronic health record (EHR)-based data infrastructure across three states (Maryland, Pennsylvania, and Utah).